4 banana connectors for measurements(Volts/Ω, COM, mAmps, Amps). 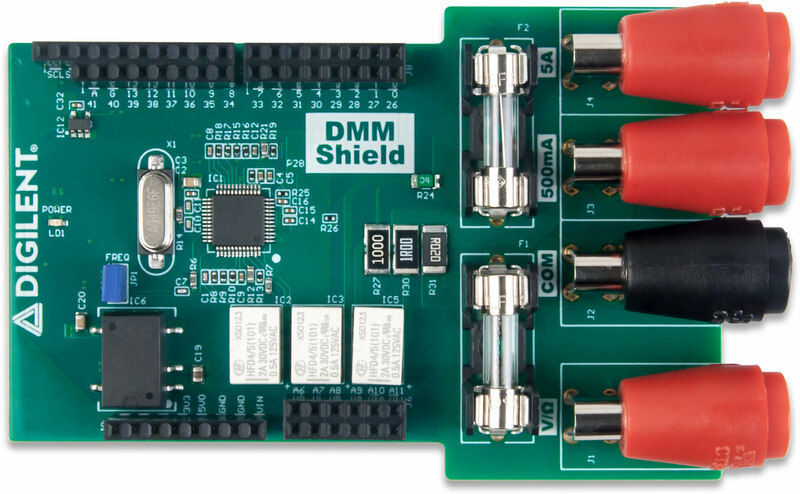 The DMM Shield is a 5 1/2 Digit digital multimeter, designed for use with Digilent microcontroller boards and FPGA boards that are equipped with the Arduino shield header, see Compatible Boards. 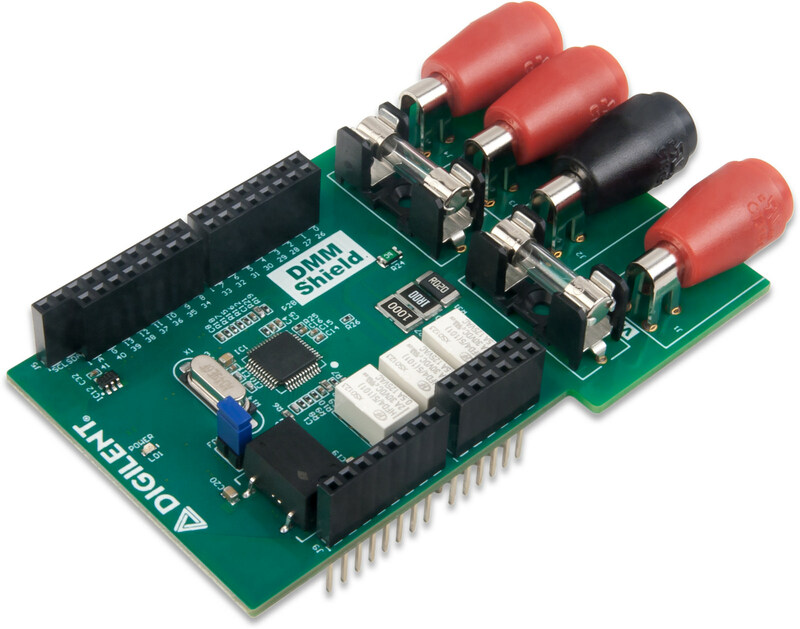 The shield is built around the HY3131 module from Hycon Technology, which is an analog front end DMM dedicated chip. The device has 7 measurements functions (AC/DC Voltage, AC/DC Current, Resistance, Diode, Continuity) and is factory calibrated. It can be used out of the box with the compatible system boards. 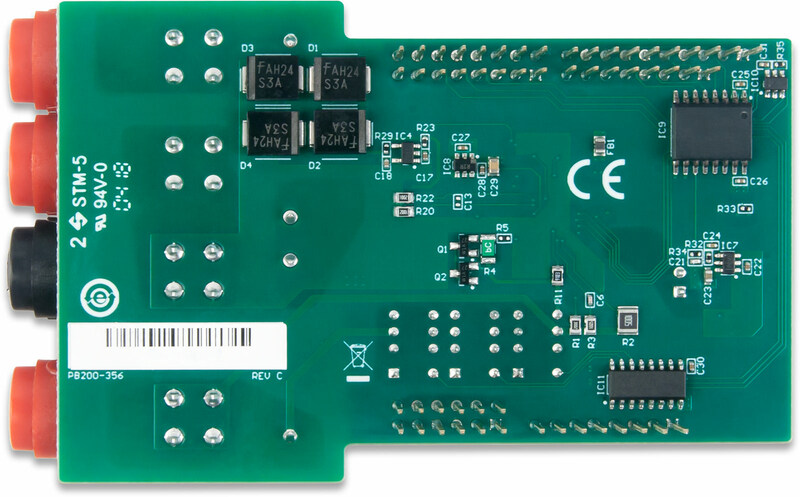 It is accessed through a custom SPI interface, using digital IO pins exposed in the DMM Shield connector.